Look for our big ‘New Products’ button at the top of our home page to make shopping easier at Hobbysew. Just one click on this button and all our latest products and their prices can be viewed at once, without the need for browsing. Of course, if you want more information, just click on the images and the Shopping Cart will open up with a full description, availability and other options, making your shopping experience on the Hobbysew website a breeze. The Hobbysew App is now available for Android™ Phone and iPhone® users for free! Now you can stay up to date with all the classes that are available across all Hobbysew stores. Browse through the classes and teacher profiles, reserve a spot for the class with a touch of a button and one of our lovely staff will be in contact with you regarding your interest in the class. To download, click on the buttons below. There will be more exciting new features coming soon! Apple, and iPhone, are trademarks of Apple Inc., registered in the U.S. and other countries. App Store is a service mark of Apple Inc.
Below you will find four fabulous quilt patterns available for download absolutely free! 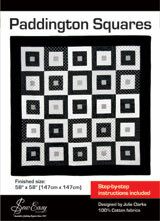 Click here to see all available Quilt Kits. 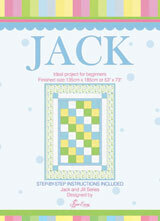 Or Click here to purchase the Jack Quilt Kit and the Jill Quilt Kit. Is based on a simple-to-cut checkerboard pattern, this single bed quilt features pure cotton fabrics in a myriad of spot designs. The fresh approach is reflected in the symmetry of the design with its diagonal placement of squares. Equally, you could throw caution to the wind and combine the coloured squares in a random pattern for a completely different effect. See below to find out how you can purchase this smart quilt kit – in either blue or pink colourways – with full instructions and all fabric for quilt top, backing and binding. 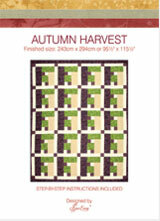 Or Click here to purchase the Autumn Harvest Quilt Kit. The arresting colour scheme of this unusual quilt belies the simplicity of its construction. Simple squares and rectangles are stitched into the one block, repeated throughout. Variations on the theme? Always! Change the orientation of some of the blocks and you’ll get a completely different look. You could also make a smaller quilt and use the remaining blocks for pillowcases. The kit includes all the fabrics needed to cut and assemble the quilt top including the binding (excludes batting and backing fabric). The quilt measures 243 x 294cm which is a very generous fit for a queen or king size bed. 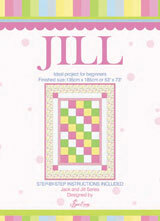 You get the complete step-by-step instructions and, as there is no tricky piecing, this is a project suitable for beginners and seasoned patchworkers alike.